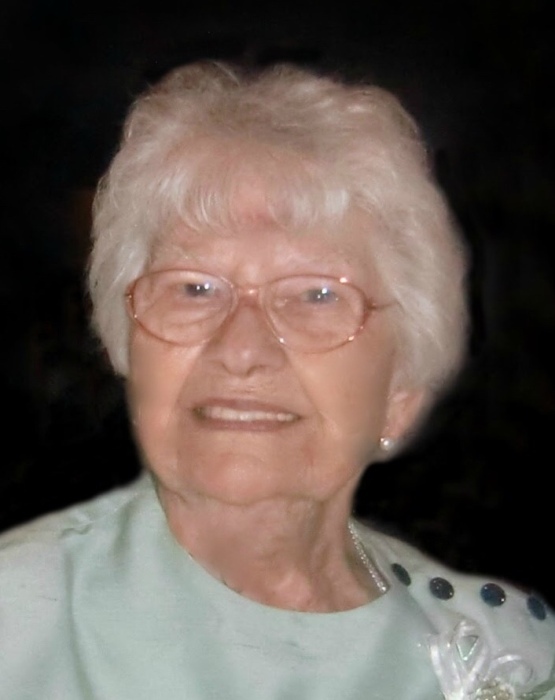 Maria Gudelia (nee Marrero) Garcia, 98, died peacefully on August 25, 2018, at Nazarethville Nursing Home in Des Plaines, IL. She was born August 4, 1920, in Guira de Melena, Cuba. The daughter of Jose and Avelina Jorge Marrero, who were natives of Canary Islands, Spain. Four brothers and three sisters preceeded her in death. In 1945, Maria married the love of her life, the late, Desiderio P. Garcia and moved to Havana. They had 3 children. In 1965, she came to Dayton, Ohio fleeing Communist Cuba. In May 2017, she moved to Nazarathville to live closer to her daughter in Chicago. Family, friends, and faith were Maria’s passion and delight. Long time and active member of St. Albert the Great Catholic Church, Kettering, OH. Loving mother of Heriberto Jose Luis (Maria) Garcia of Dayton, Alejandra (Michael) McCue of Park Ridge (IL), and the late Desiderio M. Garcia. Proud grandmother of Michael (Elizabeth) of Baltimore, Carmen (Dan) LoTurco of Denver, and Patrick McCue of Chicago. Fond aunt of many nieces and nephews. Visitation with family, Friday, September 7, 2018, 11:00am-12:00pm at St. Albert the Great Church, 3033 Far Hills Avenue, Kettering, OH. Funeral mass, immediately following at noon. A memorial mass will be held on Saturday, September 15, 2018, 11:00am at Nazarethville Chapel, 300 North River Road, Des Plaines, IL. In lieu of flowers, memorial donations may be made to Nazarethville, 300 North River Road, Des Plaines, IL 60016, telephone: 847.297.5900.